Grow Your Own Herb Garden! This herb, Anethum graveolens, is a member of the celery family, apiaceae, so it is a close relative to carrots and fennel. Dill has been used both in culinary and medical practice since at least the Egyptian times, but it appears that the plant’s origin was in the Mediterranean and western Asia. 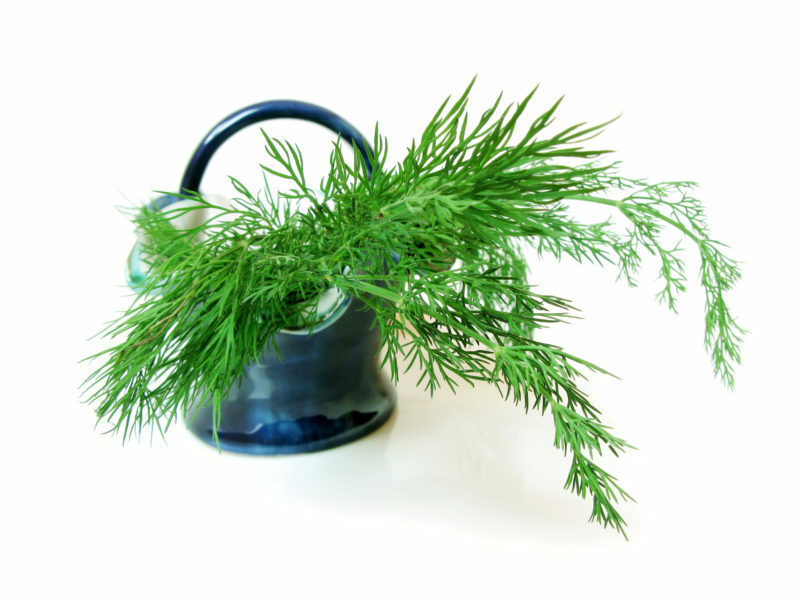 The flavor of dill is akin to fennel, and it is a traditional addition to a variety of Mediterranean and Asian dishes. I love using this herb as a garnish or directly a recipe; it makes a particularly awesome main flavor in sauces as well! Some of my favorite recipes that incorporate dill include my Truffle Salt and Thyme Broiled Salmon with Dill Caper Sauce, Lemon-Dill Poached Salmon, and AIP Notato Salad. Dill is actually an amazing source of nutrition! 100g of dill contains 2.1g fiber and 3.5g protein, so it does have notable macronutrients (compared to many herbs, which often have no appreciable macronutrient content). Plus, it is incredibly rich in micronutrients. That same amount of dill has more than 100% of your RDV of vitamin C as well as more than 50% of your RDV of iron and manganese!!! It’s also a great source of folate, calcium, and vitamin B2 (with at least trace amounts of every dietary vitamin and mineral except vitamin B12. Dill grows in most temperate climates, so you might be able to pick up a fresh bunch at your local farmers’ market or grocery store.